Have you implemented Box and now find yourself asking the question “What do we do next?” If you answered yes then you will find our next series of posts very useful. 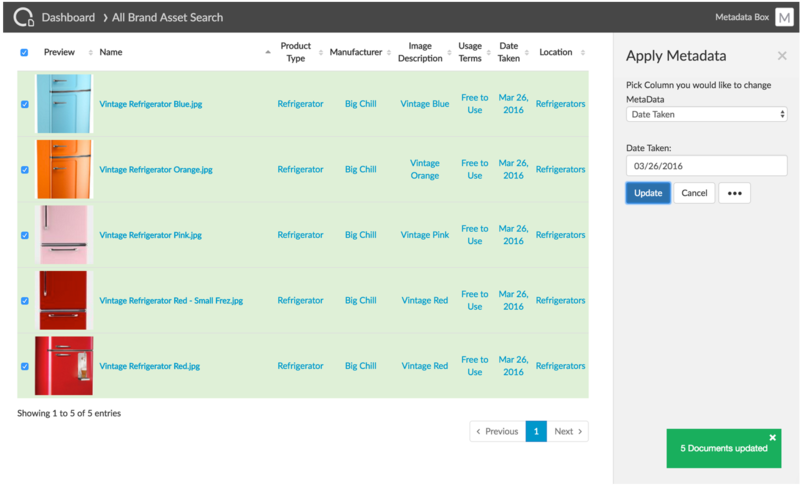 The subject of our first use case series is Digital Asset Management (DAM). Every company manages digital assets of some type from simple logo management to more complex Brand Management. DAM is very easy to implement and is very popular in any number of industries including retail, media and entertainment and publishing to name a few. Why implement your DAM solution using Box? Box’s new MetaData capabilities allow you to consolidate your content on Box including digital assets while reducing the number of information silos. 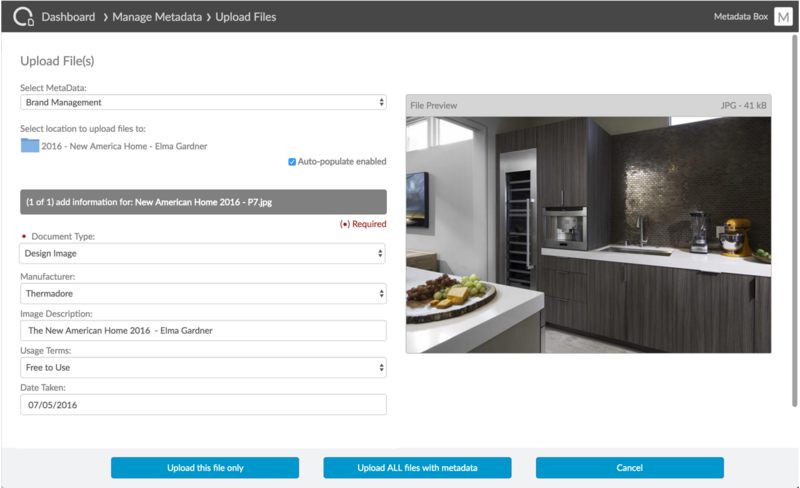 Metadata allows users to find images or assets using metadata, instead of navigating large complex folder structures. Send and Access Large Files. Collaborate and share large creative files and videos. No more email file attachment limits, clunky FTP or misplaced flash drives. Share important content with vendors, agencies and press simply and securely. Track when your files have been viewed, and by whom. Why is Box/Crooze the best solution for digital asset management? 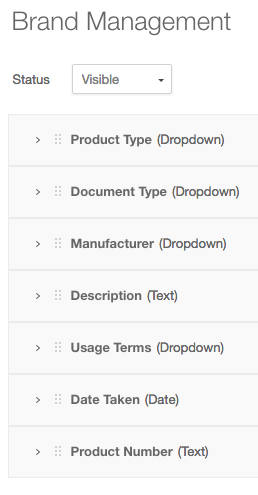 Easily add metadata to content while uploading, and bulk apply or edit metadata on content already in Box. Extracting and mapping IPTC or other metadata from images eliminates tedious and error prone re-entering of data. 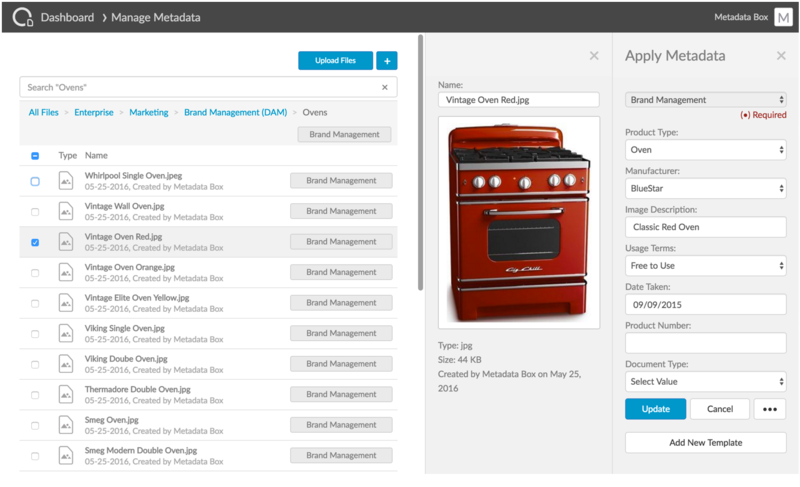 Create custom searches to allow users to quickly get to and view any of the metadata associated with images. 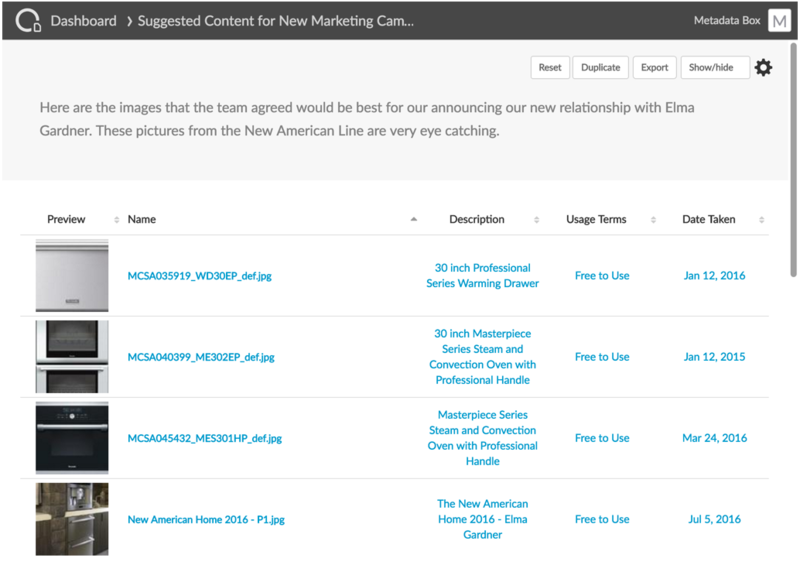 Use saved searches to quickly share content with co-workers, or select files to share with your customers or other external entities. 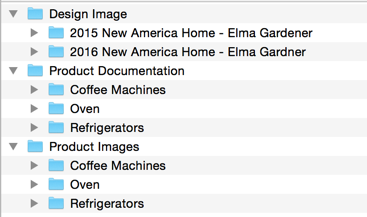 Use thumbnails to quickly preview and scan for images after narrowing your search using metadata. Quickly get to content on your iOS mobile device from anywhere. What are the benefits of Crooze PowerSearch for Digital Asset Management? Increase efficiency by using metadata to find files instantly and improve overall productivity. Keep files securely maintained while collaborating with internal and external teams. What would typically cost tens of thousands of dollars can now be done for a fraction of the cost. In our next post, we look in detail into Brand Management use case for the retail industry. This post covers how users find digital assets and deliver them to users. The overall process was streamlined so the organization can get things done more efficiently. As new images are added from photo shoots, those images, now digital assets, need to be shared within the organization. To make the content readily accessible the on-line retailer decided to use search with thumbnails. Here is a screenshot of the image. Their marketing group also needs to create a list of assets they recommend for used in upcoming campaign. These collections of images or Lightboxes can be shared with others simply by using a link. One process that was tedious for users was generating a link to use on the e-commerce website. The steps required to generate the link were not complicated but presented a barrier to adoption. They worked with Crooze Services to add a small customization to allow users to get the required link in a single click. The on-line retailer used searches to support other business processes. They liked that the searches were easy to modify in response to changes in how users wanted to view information and that searches could easily be distributed in Box or using the PowerSearch Dashboard.